The 24th Annual Sing Out for Shelter (SOS) concert to benefit organizations that serve homeless men and women is organized by the Augmented Eight, a non-profit, men’s a cappella singing group which has performed for Washington audiences for over 60 years. This year’s concert of a cappella vocal music will once again benefit three local organizations that serve the more than 30,000 individuals who experience homelessness each year in the Greater Washington DC Region – Friendship Place, Christ House, and MMUMC’s own Metropolitan House. Every year, 14 senior Yale men are selected to be in the Whiffenpoofs, the world’s oldest and best-known collegiate a cappella group. Founded in 1909, the “Whiffs” began as a senior quartet that met for weekly concerts at Mory’s Temple Bar, the famous Yale tavern. Today, the group has become one of Yale’s most celebrated traditions. Formed in 1991, the Deltones are one of the University of Delaware’s outstanding co-ed a cappella groups. 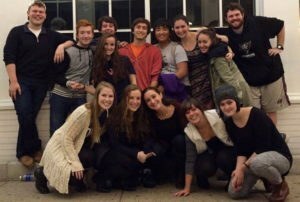 In 2011, the group appeared on television in the third season of NBC’s “The Sing-Off.” Their motto is “Friends first, singers second.” They love taking road trips to visit a cappella groups at other schools, and inviting groups to perform with them at the University of Delaware. Their 14 current members are gearing up for the group’s 25th Anniversary Concert this spring. 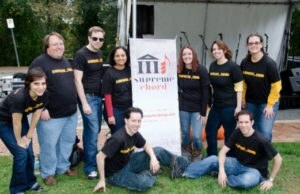 Founded in 2008, Supreme Chord is a group of young professionals who live and work in Maryland, DC, and Virginia, who love to make beautiful a cappella music — but just as importantly, enjoy spending time with each other doing it. They pride themselves on the quality — and range — of their repertoire, with everything from Darius Rucker to Lorde, from the Indigo Girls to Metallica. The group has performed widely at venues throughout the DC area, from the Kennedy Center in DC to Jammin’ Java in Vienna to Brookside Gardens in Maryland — and are always looking for new opportunities: new music, new gigs, new members — and, of course, new fans! 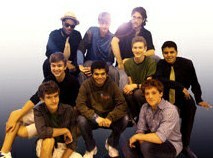 Five O’Clock Shadow, Georgetown Day School’s all-male a cappella group, is a world-renowned ensemble of singing gentlemen. They have previously sung on the streets of DC, at GDS events, at a cat show, and at area concerts, dinner parties, and competitions. Their repertoire ranges from classic barbershop to modern pop, often with a twist of schtick and even humor. Recent repertoire included Goodnight Sweetheart, Moondance, I Kissed a Girl, Afternoon Delight, and a host of other fun songs. Copyright 2000-2015 The Augmented 8, a 501(c)(3) charitable organization, chartered in Washington, DC.